In Advanced Rudiments students are required to transpose music theory from one written pitch to another. When explaining how to transpose music theory, one concept that students tend to struggle with is maintaining the tonality. When music is written in a Major key and transposed up a minor interval, for example: a piece in A Major transposed up an interval of a minor 6, is A to F. Now the music will be transposed into what new key? 1. A melody in a Major key can only be transposed into another Major key. 2. A melody in a minor key can only be transposed into another minor key. 3. The transposition distance between the given key and the new key can be any distance - Major, minor, Augmented, diminished or Perfect! Understanding the concept of Major and minor tonality can often be a struggle for a student. How? Well, does this look familiar? Instruction: Name the given key. Transpose the melody up a minor 3rd. Name the new key. Are they correct? No. Where did they get confused? 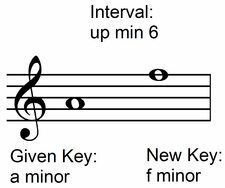 The student identified the given melody key correctly as F Major, but when they transposed up a minor 3rd, they did not stay in the Major tonality – they transposed into a minor tonality. 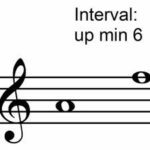 They confused the tonality of the interval with the tonality of the key. How can we support students who get confused with their tonalities when they transpose music theory? In Lesson 9 in the Advanced Rudiments Workbook, you will see how UMT Tips help students determine correct tonality. 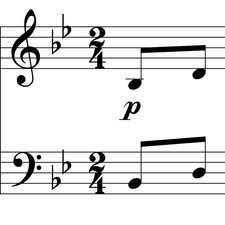 UMT Tip – Identify the key of the given melody. Then, in the margin of the music (or on their Whiteboard), write one of the following Tonality Tips. Always write these as melodic intervals. 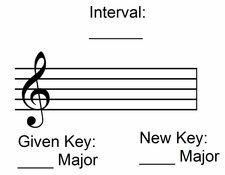 By having the tonality “Major” or “minor” already written in, the student will not be confused by the tonality of the transposition interval. Let’s put this into practice. a) Name the key of the given melody. b) Transpose the melody up a minor 6th. Name the key of the new melody. The student correctly identifies the key of the given melody. It is in a Major Key, so, in the margin or on their Whiteboard, they write the Transposing Major Tonality Tip. The student correctly identifies the key of the given melody. It is in a minor Key, so, in the margin or on their Whiteboard, they write the Transposing minor Tonality Tip. A student is allowed to use their margin or a scrap piece of paper to support them in getting the correct answer. When writing a Royal Conservatory of Music Theory Exam, the last page of the exam is a “scrap” page with a keyboard and empty staves. Students should detach this page from their Exam first and place it beside them. Use this page to write out your tips or work through questions if needed. 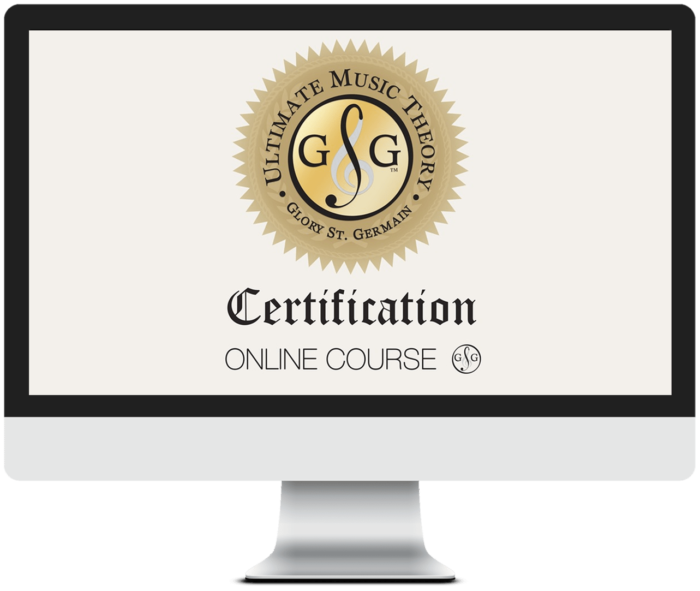 At Ultimate Music Theory, we have lots of free “extras” for you. Go to the Free Resources to check out the Music Theory Worksheets and instructions for various activities to do with your students. If you have any other ideas on how you remind your students to keep correct tonalities when transposing, please share them below! Thank you!!!! I am planning on being certified at a later date!